Gray Dawntreader, the shelter dog. 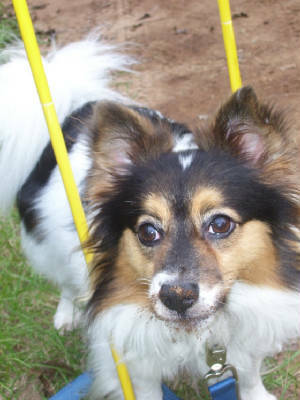 Treader is a 4 year old Papillon/Shetland Sheepdog(Sheltie) mix. I adopted him from the shelter in July 2007. 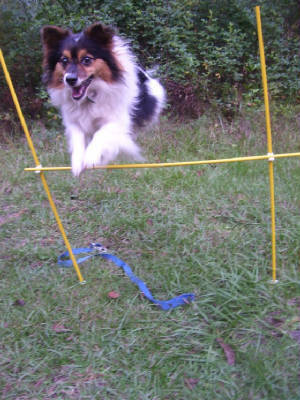 He is a very very smart little guy and knows basic obedience, plus several tricks. 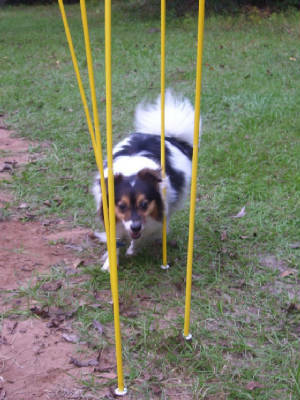 After we get past a few behavior problems, I plan to try the CGC test with him. 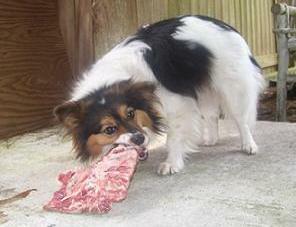 I switched him from commercial dog food over to prey model raw in September 2008. He has been doing well on this diet and I do not intend to switch him back to kibble at all. 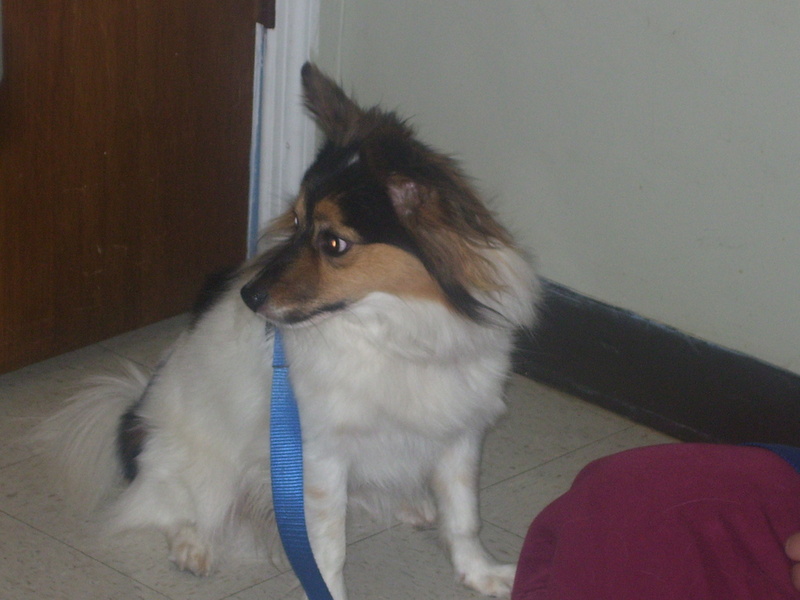 Treader doing a sit-stay at the vet. I was so proud of him. He obeyed almost perfectly! We're not that far away from that CGC title! Treader enjoying his supper of pork ribs. Treader is fed a 100% homeprepared prey model raw diet. This is a controversial diet, but we have experienced many benefits since we started, including a softer and shiner coat; smaller, firmer, and less frequent stool; cleaner teeth; and better breath. I feed it because I've seen the benefits first-hand. Please note that whenever doing a homeprepared diet, you really need to know what you are doing. Thus it is important to really read up on a homeprepared diet before trying it, just as you should read up on breeding your dog before attempting it. Sailing over the high jump!